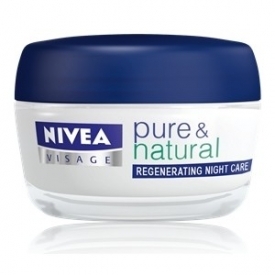 Nivea Visage Pure and Natural Regenerating Night Cream for beautiful looking skin. • Gives you naturally soft, smooth skin. • Supports skin regeneration throughout the night. • Provides intensive 24h moisturisation. • It has natural moisturisers for skin hydration and nourishment. 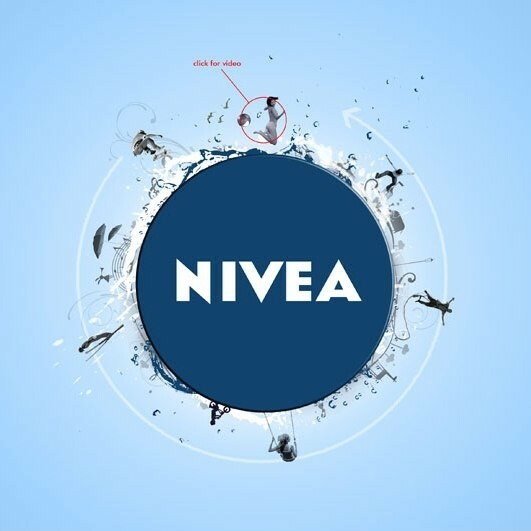 The Nivea Visage Pure & Natural skincare range combines Nivea trusted skincare expertise with effective ingredients that work in perfect harmony with your skin. 95% of the ingredients are from natural origins including Aloe Vera (known for its replenishing properties) and Argan Oil (source of Vitamin E). Suitable for sensitive skin. Skin compatibility dermatologically approved. Apply before bed after cleansing. For best results, use the complete Pure & Natural face care system from Nivea Visage. Aqua, Glycerin, Hydrogenated Vegetable Oil, Cetearyl Alcohol, Caprylic/Capric Triglyceride, Alcohol Denat., Glyceryl Stearate Citrate, Octyldodecanol, Glyceryl Stearate, Hydrogenated Coco-Glycerides, Methylpropanediol, Dicaprylyl Ether, Panthenol, Cocoglycerides, Argania Spinosa Kernel Oil, Aloe Barbadensis Leaf Juice, Tocopherol, Xanthan Gum, Sodium Carbomer, 1,2-Hexanediol, Phenoxyethanol, Methylisothiazolinone, Linalool, Limonene, Citronellol, Benzyl Alcohol, Butylphenyl Methylpropional, Alpha- Isomethyl Ionone, Geraniol, Parfum. Lovely fruity fragrance, easily absorbed, softens the skin, hydrates well, modest price tag, trusted brand, widely available. This rich textured cream has a lovely fruity fragrance which makes it a joy to use. It is suitable for sensitive skin and hydrates beautifully. I is quickly absorbed and is non-greasy. After application the skin feels softer and hydrated. 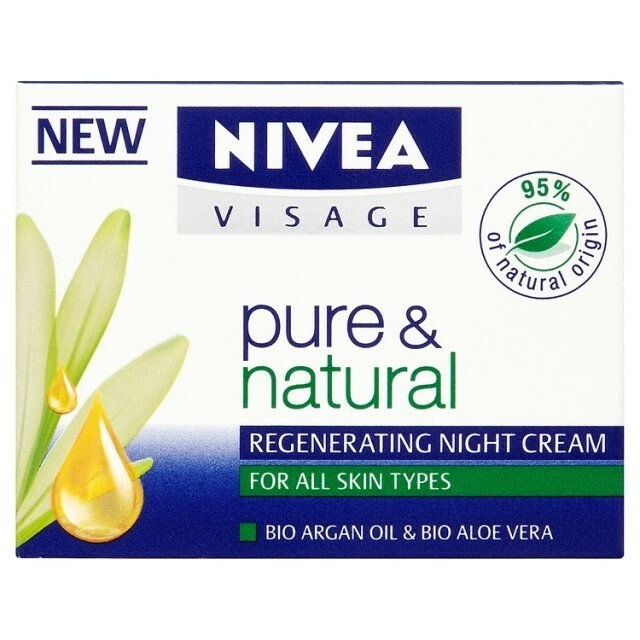 I have sensitive skin and I have used this product for years without any issues, I really like the pure and naturals range by Nivea as a whole. Doesn't leave your face feeling oily while you are sleeping, but face is soft and well moisturised in the morning. A good all round night cream, it does what at says on the packaging with a nice scent. This night cream is lovely,light and refreshing. It does not feel heavy or greasy on the face like some night creams. you only need a small amount and at a good price it is great value for money. It absorbs well leaving your skin plumped and nourished. Woohoo! A decent night cream for sensitive skin. I often avoid night creams because I find them far too greasy, leaving my skin red and blotchy. However, this night cream was just the trick - light, absorbent and hydrating. The Aloe Vera gives the cream a fresh and clean fragrance. Not greasy. Absorbs well. Leaves the skin feeling soft and moisturized. A gentle night cream that doesn't irritate the skin. An affordable and effective night cream. Isn't too heavy or greasy, so suitable for sensitive skin.